South Korean Bithumb surpassed the popular cryptocurrency exchange Binance in terms of trading volume in November. This report by analytical website CryptoCompare. 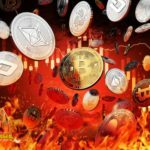 Compiling the report, experts analyzed data from 70 cryptocurrency trading platforms. In particular, it became clear that the share of spot transactions in the total trading volume is 75%, futures - 25%. 90% of volumes generated on spot platforms that provide trade fees. 8% of trading platforms work on model of mining trans-fee which usually assumes release of own token for fees or an award for trade activity. Zero fees offered by only 2% of platforms. 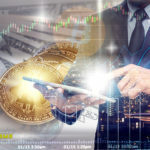 A third of the exchanges support spot crytpocurrency trading in pairs with fiat money. The remaining two thirds support only trade in cryptocurrency assets. The Korean won was the most popular fiat currency used in Bitcoin trading last month. KRW accounted for 46% of the total transactions volume of BTC. The share of USD - 33%, Japanese yen - 12%. The average daily turnover of the South Korean cryptocurrency exchanges was $ 1.4 billion last month. Deals based on Malta were worth $ 1.2 billion daily. South Korean Bithumb came out on top in daily trading volume and overtook Binance. 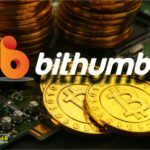 Bithumb's trading volume reached $ 1.24 billion in November, while at Binance, the figure was $ 641 million, and ZB - $ 560 million. © 2018 bit.news | queries 226, for 0.158 sec.